Windows 10 is probably faster than all of the previous versions of Microsoft’s flagship OS, but it is possible to improve its speed even further following the advice given here. Computer hardware is being constantly made faster, but so is the software to go along with it, and Windows 10 is a typical example of that. You can notice that with the startup time in particular. If you upgrade to Windows 10 from an earlier version, it will come as a pleasant surprise to you how fast it is and soon your system gets ready for performing tasks. However, you should consider several other performance factors after your Win10 is up and running. The following article is actually a combination of useful pieces of advice, which will help you enhance the whole performance of your operating system as a whole. 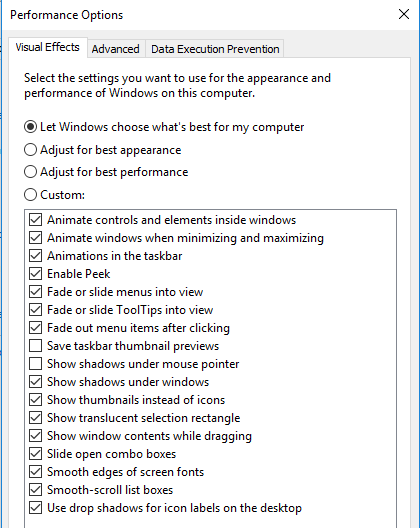 What’s problematic about the usual Windows speedup tools is the fact they suggest that we turn off some of the operating system’s most favourite and eye-pleasing functions such as visual animations. Most of the advice here focuses on possible ways to speed up your Windows 10 system without any compromises with its appearance and functionality. For the users with older, slower computers who want a speed boost but don’t care about additional extras, some of the tips at the end of the article can boost system performance at hardly any expense. If you have your own suggestions and tricks for speeding up Windows 10, please, don’t hesitate to share them with us in the comment section below. That additional preinstalled software used by PC makers continues to present an unresolved issue when it comes to new computers. Recently I have been working with an inexpensive laptop computer and there have been many programs that are supposed to help and enhance the system. However, what they actually do is pop-up and interrupt in the middle of anything I do. Click on the Start button (it is located on the lower-left corner of your screen) ——> then on All apps at the bottom, and then ——> simply right-click on the offender and choose Uninstall. In this way the unwanted program will be immediately and completely uninstalled. Another way of doing so is to right-click on the Windows logo Start button, then select Programs and Features. It is also possible to simply write Programs in the Ask me anything box next to the Start button and it will show you the desired location. When you finally find the junk apps you have been looking for, just select them and click Uninstall. It is a pity that you can only get rid of one at a time, so spare about thirty minutes or so for this project. Remember to remove only the apps you have installed yourself but no longer want. Also do so with the software you don’t want and has been installed alongside software you did want. What you should know, too, is that with Windows 10, the applications can be classified as traditional desktop ones and contemporary Windows Store ones. If you want to uninstall the modern ones, visit the Apps & Features page. There, you’ll be able to see both the traditional and the contemporary type of apps, while the old buddy Control Panel can only display the typical desktop programs. In both cases, you will be able to sort them by size, installation date, name, or search for a particular program. This trick can help you enhance your system’s performance because a lot of programs load processes at boot and use the system’s valuable RAM and CPU power. When you choose the Programs and Features section of Control Panel, it is possible also to click Turn Windows Features On or Off and scan the list to check if there’s anything that’s of no use to you. In case you need more information on how and what to remove unused and useless software, do not hesitate to ask us in the comments section. Usually many applications install extra processes that run every single time you start your machine, and some of them are not exactly what you may need constantly running on your system. In comparison with Windows 7, in which you need to use the MSCONFIG utility, Windows 10 (and Windows 8.x before it) offers a new, simpler method to limit what runs at startup—from the updated Task Manager. You can easily access the Task Manager just by pressing Ctrl-Shift-Esc. After you switch to the Startup tab, there will be a list of all the programs that load at Windows startup. In the dialog box there is even a column where you can see the Startup impact for each one of them. In the Status column you can see if a certain app is enabled to run at startup or not. You can change the status of the programs by simply right-clicking on them. Generally, you can easily spot the things you don’t want to run. For instance, if you do not use iTunes right after you have turned on your PC, it is probably unnecessary for iTunesHelper to be constantly running. Open the Start menu, write Disk Cleanup.A trustworthy Disk Cleanup tool that’s been a part of Windows for several generations will be opened. Disk Cleanup finds unwanted junk and files such as temporary files, offline Web pages, and installer files on your PC and provides you with the option to remove them all at once. Your Recycle Bin might be bulging at the seams. My Bin contained about 2 GB of files, which I didn’t know existed at that moment. In general, such a move will only have a significant effect on speed if your drive is nearly full. In case you haven’t recently scheduled defragmentation, you can do so using the Optimize Drives tool. It can easily be found by typing its name in the Cortana search box next to the Start button. To be completely honest, Windows 10 is not as slow as some of the previous versions of MS OS. However, you can never have enough memory. This is always a possible way of speeding up your entire system. A lot of modern devices such as Windows tablets, though, do not offer such an option. For some gaming and business laptops it is still possible to make RAM upgrades, but this practice is becoming more unusual by the years. The modern, slim ultrabooks and convertibles usually come with fixed parameters. However, in case you use a desktop machine, the given info here can show you how to add more RAM. The most famous RAM manufacturers all have product finders on their websites to advise you about the RAM type and help you find the best one for your computer at a pretty affordable price. Speaking from my own experience, the installation of a SSD Startup Drive can be a really great decision. Three years ago I got a solid-state (SSD) drive for my personal desktop computer. As a result, it became remarkably faster. The SSD will also help you not only enhance the overall startup performance, but also to speed up some more demanding applications such as Adobe Photoshop and others similar to it. Even if you have a laptop, you can consider that as a possible option. If you want to speed up your system entirely, it is reasonable to replace your old built-in startup hard drive. However, an external SSD with a USB 3.0 connection can also boost your computer’s overall speed. You can always use the built-in Windows Defender or a different third-party program to do this. However, your best choice will be to trust a well-known and reliable tool. Some software products have a lighter footprint on the overall system performance than others. So choose wisely. Again, if you need any advice on the subject, ask us in the comments section. We will gladly offer you solutions to your problem. Let me begin with the fact that if you are all about saving power, this is certainly not an option for you. Of course, if you want to further boost your PC, this can help you do that. Just go to Control Panel / System and Security / Power Options. After that, click on the dropdown arrow on the right side and select High Performance. 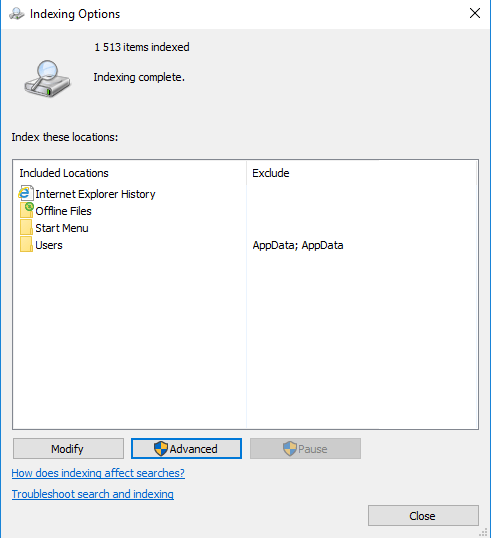 In Cortana’s search box next to the Start button, write troubleshooting and under System and Security, you will find the troubleshooter. Then start the troubleshooter and it might detect the original cause of your slowdown issues. Moreover, just to be sure, you can always use other troubleshooters, including System Maintenance, Search and Indexing, Hardware and Sounds, and Programs. It is very easy to reach this by typing adjust appearance in the search box. In the then opened dialog, you can click on the radio button at the top under the name Adjust for best performance or choose which additional pleasant features you can give up from the long list of check boxes below these selections. If your choice is the overall best-performance button, the result is that all of the visual effects will be lost. For instance, you will not be able see the contents of a window you’re dragging. You will just see a rectangle showing the window’s edges. It is probably better to stick to the effects you enjoy and keep them checked in the dialog box. It is especially necessary when it comes to lower-spec machines, because search indexing can use a lot of system resources, even if only temporarily. Actually, if you are a big fan of searching, this is not your option, because such a move will make your searches slower. That’s how you turn off indexing: first, open the Indexing Options Control Panel window (or just type indexing options in the Start button search box, and you will most probably see Indexing Options at the top of the result list).Then, select Modify and get rid of the locations being indexed and file types as well. However, if you need to use search indexing more often and you want it ON and functional, you may find out that it will slow you down from time to time. In such a case, you can just turn it off only when you need additional speed. According to Microsoft’s help, the new Automatic (Delayed Start) startup type, “is better than the Automatic startup type because it helps decrease the impact on the system’s boot performance as a whole”.